As you make plans to build or buy a home, including a gazebo in your compound wouldn’t be such a bad idea. Just by looking at it on the glossy pages of the homes magazine, you can tell that it brings a homely feel. Not to mention the fact that it is an epitome of luxury and comfort. Imagine a quiet afternoon on a weekend where you are out in the gazebo with the love of your life. The soothing breeze slips through your tender embrace on your love’s shoulder on a hot afternoon. You just can’t explain this natural feeling, and you begin to wish that time would stand still. It’s all in the magic of the gazebo and only requires you to have one installed so as to experience it. The beauty of the Airwave Gazebo is that it comes in different colors to choose from. We shall see more of it in details. What is an Airwave Gazebo? This is a special structure that only requires skilled minds put together to come up with various designs. An Airwave gazebo is unique because it uses a special kind of material that’s waterproof. This means that on a rainy day you will not be prevented from going about your duties. Airwave gazebos are so convenient that they can come in handy when you least expect it. For instance, when it rains on your wedding day, and you’re not ready to release your guests, have an Airwave gazebo installed in the shortest time possible. That’s not all, these gazebos are popular for more reasons than we can number. They are a rare invention that is able to serve many purposes at the same time. This is especially true when we talk about the harsh weather. In the long run, we are assured of protection and comfort when we include them in the picture. Once keen interest is taken, Airwave gazebos can be constructed and installed in the right way. The measurements are also not to be taken for granted as everything else depends on their accuracy. For instance, the number of people it can accommodate also depends on the accuracy of their measurements. 1. They work both ways. 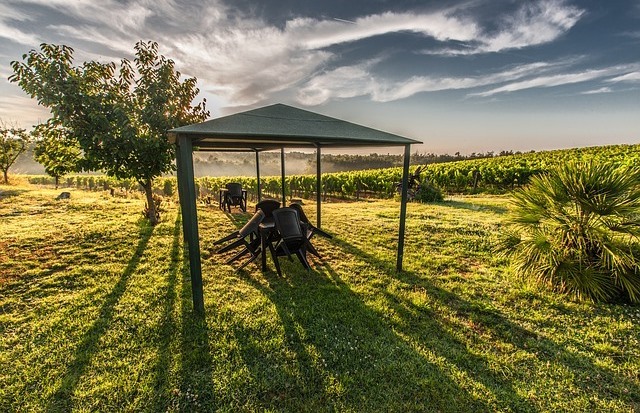 Whether it’s on the rainy days or extremely sunny days, airwave gazebos have your back. So long as they are installed to perfection, you won’t feel the harshness of the weather. Instead, you will see them as a pleasant opportunity to enjoy the weather that comes your way. 2. They come in a do-it-yourself kit. This enables you to install them yourself under special instructions. Airwave gazebos offer a pleasant opportunity to learn something new and improve on it at that. 3. They take up less space. How Do I Know It’s Time to Repaint My House?